The Bible is trustworthy and without error. Love God, Love Others. Make a difference. God measures success by the yardstick of faithfulness. 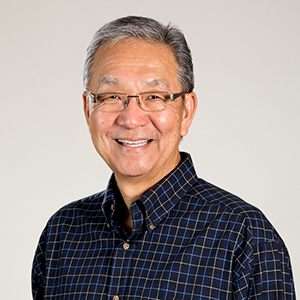 As I enter the final twelve days of my tenure as Senior Pastor of Evergreen SGV, I have been reflecting two things: God’s goodness over the past forty-two years and my role in God’s plan. I firmly believe that God had a plan and I was a part of His plan for Evergreen from the very beginning to the very end. It’s been interesting that in the past few days I have read different versions of the same theme regarding a retrospective view of one’s life. I have no idea who to credit for this sage advice, but I read about the final epitaph of a missionary who was to be martyred. Most recently, I read it in an article by Dr. Steven C. Riser, retired Senior Pastor of New Beginning EPC (Evangelical Presbyterian Church). Here’s what one martyred believer wrote, No Reserves, No Retreats, No Regrets. We should be willing to give our all to Jesus. Romans 12:1 says, “Therefore I urge you, brethren, by the mercies of God, to present your bodies a living and holy sacrifice, acceptable to God, which is your spiritual service of worship.” This verse calls us to offer our entire body as a living sacrifice to God. We should allow the Lord to use us in any way He sees fit. Our willingness becomes our willing sacrifice to Him. The world and life itself is filled with distractions, discouragements and discontentment. The world is a noisy place to live. It is easy to revoke our sacrificial living for the sake of ease. The way to “press on” is to “press into” Jesus. His resurrection power will sustain us. In last week’s blog, I shared about finishing the race from 2 Timothy 4:7 where Paul stated, “I have fought the good fight, I have finished the course, I have kept the faith…” Finishing a marathon has its rewards whether the runner finished first or last. For most runners, just completing the course well is reward enough. In my opinion, finishing with no regrets is an important ingredient to a life lived well for Christ. To be sure, there will be some regrets. But, trying to wholeheartedly live and serve as Jesus would want us live and serve has its own reward… the voice of the Lord saying, “Well done, good and faithful servant.” Matthew 25:21. So may we live a life of No Reserve, No Retreat and No Regret. Over the past four decades, a particular verse has been shared with me by different members within the Body of Christ known as Evergreen. The verse is Psalm 1:3, which is an incredibly encouraging passage of scripture. More recently, one of our church members, Itsuko Teragawa, shared Psalm 1:3 with me and said it was God’s verse for me. This time, her words caused the verse to have a greater impact on me. I wondered about it and asked the Lord to help me understand what it meant. Some time later, while attending the Evergreen SGV House of Prayer (EHOP), the Lord spoke to me and said that Psalm 1:3 was my life verse for ministry from Him. In other words, I had a life verse from the Lord even though I was totally unaware of it. A closer look at the verse revealed that three things happen to someone who is like a tree firmly planted beside streams of water. First, they will yield fruit. Second, they will not wither. And third, they will prosper in whatever they do. This has been the story of our church over the past 42 years. We have yielded fruit, not withered and have prospered in whatever we have done. To God be the glory! If we take a closer look at the context of Psalm 1:3, we find in verses 1 and 2, the reasons for the blessings of verse 3. A tree or person gets firmly planted beside streams of water when three things are happening in their lives. First, they do not listen to worldly counsel that contradicts God’s Word. Second, they delight or love the Word of God. Third, they meditate and assimilate God’s Word on a consistent basis. The net result of doing the above is then described in verse 3. In many ways, I am glad that I did not know that this was God’s life verse for me in ministry. However, I am also thankful that for the entirety of my 42 years of service, I have always tried to love, assimilate and do God’s Word. As a result, God has blessed me and our church family over the years by allowing us to bear fruit, to keep from withering and to see God prosper us in ways that only He could. In the final analysis, I am grateful to God for the things He has done. His mercies and lovingkindness have abounded in my life and the life of our church family. Hallelujah! Let me begin by reiterating a recommendation I made two weeks ago when I shared a message entitled, “Walking as Children of Light”. I recommended that our church family take their high schoolers and go see the movie, Unplanned, on the counsel of some of our staff who viewed a pre-screening of the movie. Unplanned follows the true story of Abby Johnson, a Planned Parenthood clinic director turned pro-life activist. After seeing the movie on Sunday, I am going to revise my recommendation. I now highly recommend the movie with your children junior high and up. The movie did not deserve an “R” rating. Movieguide, The Family Guide to Movies and Entertainment, wrote the following about Unplanned. I have never been big on conspiracy theories, but I do believe that the powers-to-be in our society, especially Hollywood, have a plan or agenda that they want to promote or prevent. I believe that pro-life is one they want to prevent. They have a plan. It’s curious what Tess Farrand, Staff Writer for Movieguide, wrote about Unplanned. She did not imply there was a plan. I believe that there may have very well been one in place. She reported three things about the movie. First, Unplanned was “denied advertising opportunities on many networks and platforms”. Second, it “received negative reviews from mainstream publications”. Finally, it “was rated “R” from the MPAA”. I have no first-hand knowledge of the first two obstacles, but after seeing the movie, it is incredulous that it received an “R” rating. I have seen PG and PG-13 movies that are far worse. After the movie was release and doing well, something curious happened. Farrand reported the following. It does appear that there are those who do not want the message of Unplanned to be successfully told. But God has a different plan. He is on the side of the unborn child in the womb and wants this story to be told. I hope you seriously consider seeing this movie then having an open dialogue with your children and others. We are not called to argue the things of faith, but to clearly and lovingly share the Good News of Jesus with others. Part of the Good News from the movie is a clear message that God loves the baby in the womb and those who choose life. The movie also shows God’s love for those who have chosen to end life in the womb and how He desires from them to come to Him so He can forgive them, cleanse them and restore them. One final note, God’s ultimate plans always succeed.